When Chris is not working at his day job with the Hong Kong office of a Chinese securities firm he can most often be found teaching, a pursuit which he passionately pursues in large part because it offers the best path to self-learning. Having studied physics and mathematics he stumbled into a career in finance as a quantitative practitioner, but in trying to better understand risk, uncertainty, and the inefficiencies of financial markets he began to study behavioral decision making and truly began to understand how little he knows. In addition to his work and teaching Chris’s personal time sees him engaged in various pursuits ranging from gardening with his son, planting oak trees on his Iowa farm, enjoying wine with his wife, and heading off to Calabria once a year to make the sausage with his father’s cousins. 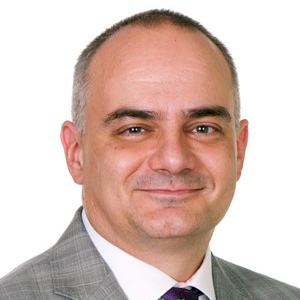 Chris Lobello is a financial markets practitioner, researcher, and occasional teacher with more than 20 years experience working in Asian financial markets in roles ranging from risk modeling to quantitative analysis to country and regional management. Chris recently co-founded a fintech start-up and is working on several projects related to behavioural finance and decision making. He has a practitioner’s interest in behavioural aspects of decision making and has worked with faculty at INSEAD’s Centre for Decision Making and Risk Analysis, where he was appointed a visiting fellow in 2011. Chris teaches at several of the region’s top business schools and provides executive education training on topics of making better decisions, risk management, ethics, and various topics in finance. He teaches regularly at schools including The Chinese University of Hong Kong, SP Jain, Thammasat University, and Bhutan’s Royal Institute for Governance and Strategic Studies. He has guest lectured at INSEAD and taught in their executive education programmes, and he works with a number of the world’s top financial firms on projects related to behavioural decisions in investment. He has held senior positions at firms such as Nomura, CLSA, Daiwa, and Barra. He also serves on various industry boards and committees, including several of the FTSE global advisory committees and his work as a board member for CQAsia, the Asian branch of the Chicago Quantitative Alliance. His transition to quantitative finance began with Barra International, developing single country risk models, then segued to a Quantitative Analyst role with Caspian Securities, both in Hong Kong. Chris obtained his B.Sc. from Illinois Benedictine College with a double major in physics and mathematics and holds an EMBA from INSEAD. As an undergraduate, he worked at Fermilab and served in the US Peace Corps in Benin. Chris speaks Mandarin Chinese and a West African variant of French.